Butter each slice of bread on one side. 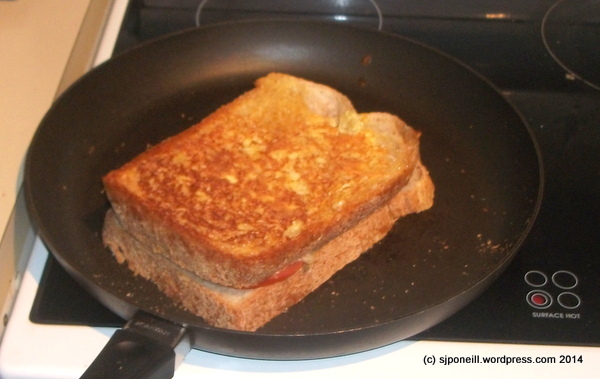 Prepare your fillings…for me this is thin sliced cheese, thin-sliced tomato and my custom egg’n’onion mix. Other options maybe a THIN layer of creamed corn and/or spaghetti (Watties, from the can). The Terminator – greatest kitchen tool ever! This finely slices and dices the onions and other other herby/spicy things, and slightly foams the egg so that it is not as runny and sits where it is pour on the bread. Heat the pan to medium heat. Pour in the egg/onion mixture and spread evenly over the bread. 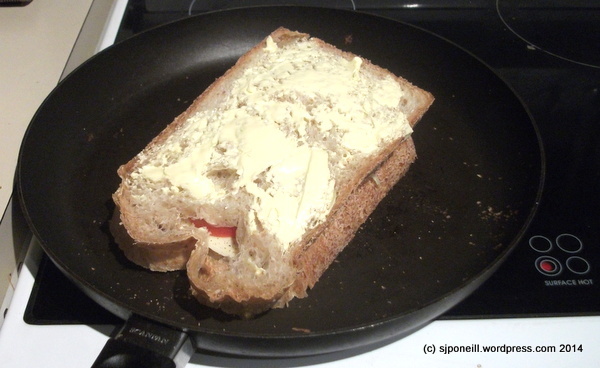 Don’t worry if some of the mixture finds its way to the hot plate through holes in the bread – this is a self-cauterising toastie. Layer the tomato and cheese slices evenly over the egg mix. When the second side is golden brown, remove and let it cool for a few minutes so that any liquid cheese does not make a break for it when cutting. 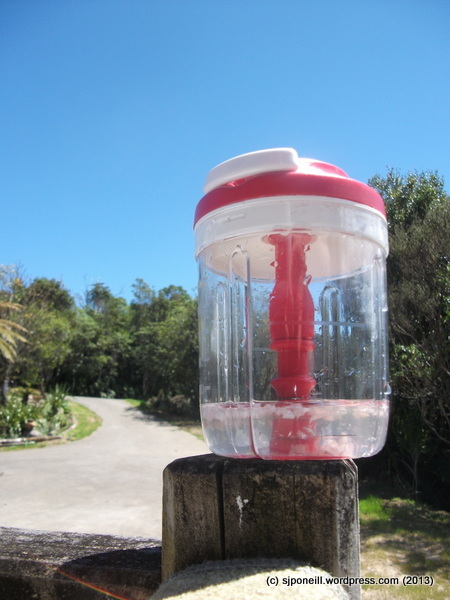 This entry was posted in Masterchef Raurimu, Photography and tagged New Zealand by SJPONeill. Bookmark the permalink.